Some are uncomfortable with references of any kind to so called “Darwinisms”. The reasons are varied, not the least of which have historically been horrific acts committed in the name of “natural selection” or “survival of the fittest”. 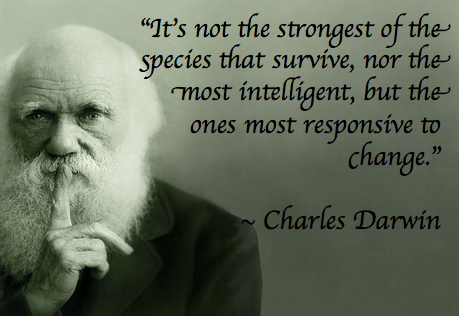 It’s important to remember though that like so many throughout history, Darwin has been often misquoted or his ideas taken out of context to suit other agendas. It’s safe to say that whether you’re an opponent or a proponent of Darwin, change is one of the constants in the universe and very much so in the economic universe.